Prime Minister Abe has approved a plan to shoot down foreign drones flying above Japanese airspace. Japan’s Defense Ministry has received approval from Prime Minister Shinzo Abe for its plans to intercept and shoot down any foreign drones that ignore initial warnings to leave Japanese airspace. Abe’s approval of the plan asserts Japan’s readiness to respond unilaterally to protect its sovereignty and territorial integrity. The move is the latest in a series of pronouncements and provocations by both China and Japan over the Senkaku/Diaoyu territorial dispute. Japan controversially purchased some of the islands in 2012, which thrust the long-unsettled dispute to the forefront of China-Japan relations, which have been strained ever since. On Sept. 9, a day after manned Chinese bombers flew near Okinawa, a Chinese military drone was observed nearby. The Japanese Defense Ministry dispatched fighters to shadow the manned bomber aircraft, which refrained from entering Japanese airspace. 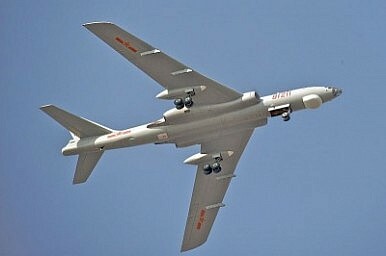 It used a similar procedure for the drone, which is believed to have been a Chinese BZK-005. In late September, The Diplomat noted that Japan’s Defense Ministry had been studying a plan to shoot down foreign drones over its airspace in response to this incident. In the case of drones­­—more accurately referred to as “remotely-piloted aircraft systems” (RPAS), or “unmanned aerial vehicles” (UAVs)—the indeterminacy of being able to communicate warnings to aircraft that lack human pilots had left the Japanese Defense Ministry without clear rules in such cases. The development of this recent plan suggests that this contingency has been accounted for, and that the Japanese Defense Ministry believes that Chinese drones will be sufficiently capable of detecting warnings. The East China Sea remains one of Asia’s most dangerous flashpoints, and recent events there have acutely transformed Japanese strategic planning. After Shinzo Abe’s election to a second term as prime minister, Japan’s long-running debate on military normalization has gained more traction in the political mainstream. General anxiety over China’s territorial ambitions, coupled with acute regional flare-ups such as the Senkaku/Diaoyu crisis, has prompted Japan to pursue a more active regional military presence. The ASDF has considered a number of changes to its operational rules, including firing warning shots at Chinese military aircraft in Japanese airspace. The United States, Japan’s treaty ally, has refrained from taking an official position on the East China Sea territorial disputes. However, in the case of any attacks on the Senkaku/Diaoyu Islands, the United States would be treaty-bound to assist Japan in defending the islands. This includes a scenario involving China. China's latest East China Sea incursion comes days after the U.S. defense secretary's visit to Tokyo.